After many months of anticipation, my final few days as a Tucsonan are upon me. On September 16th, I’ll be leaving Tucson for Seattle to begin graduate school. While I’m incredibly excited to move to a new city and start my graduate work, I’m saddened and slightly anxious at the idea of leaving behind my family, friends and the place I’ve called home for nearly my entire life. As I make final preparations for the move, I’m finding strength and resolve in reflecting on an experience I had earlier this summer. From May 18 to June 26, I was lucky enough to backpack around Europe with three of my best friends. 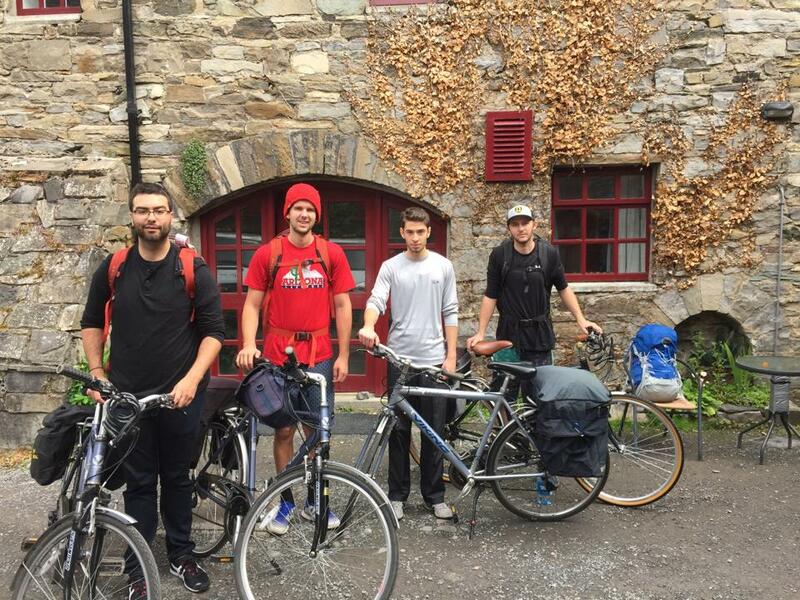 We decided to begin our trip with a six-day biking tour of Ireland’s west coast. Our planned route took us through three counties and multiple towns and cities, totaling nearly 170 miles of total travel. I’ll be the first to admit that I’m not in great physical shape, and none of us engaged in any kind of serious preparation beforehand (myself perhaps least of all). The night before we began, I was unsure about whether I was actually up for the task. We set out on the first day from the town of Westport, heading south through Galway County towards Connemara National Park. It was a pretty rude awakening – 36 miles in all, half of which was through freezing cold rain, heavy wind and uphill climbs. Despite the challenges, the Irish countryside proved to be more beautiful than any of us could have imagined. Every painful mile was rewarded with an even more gratifying landscape – rolling green hills dotted with ancient ruins, endless bogs, deep blue lakes and plant life that had a bizarrely tropical appearance. We arrived at our hostel that day soaking wet from head to toe, and I felt the most intense physical exhaustion I’ve ever experienced. I realized pretty quickly that this tour was going to be a test of my mental toughness, perhaps even more so than my physicality. Silent panic setting in at Westport hostel the morning we hit the road. This proved true on Day 2, a 21-mile journey to the small town of Clifden. Although the weather, terrain and distance were much more agreeable, each stroke of the pedals was by sheer force of will against my screaming leg muscles. 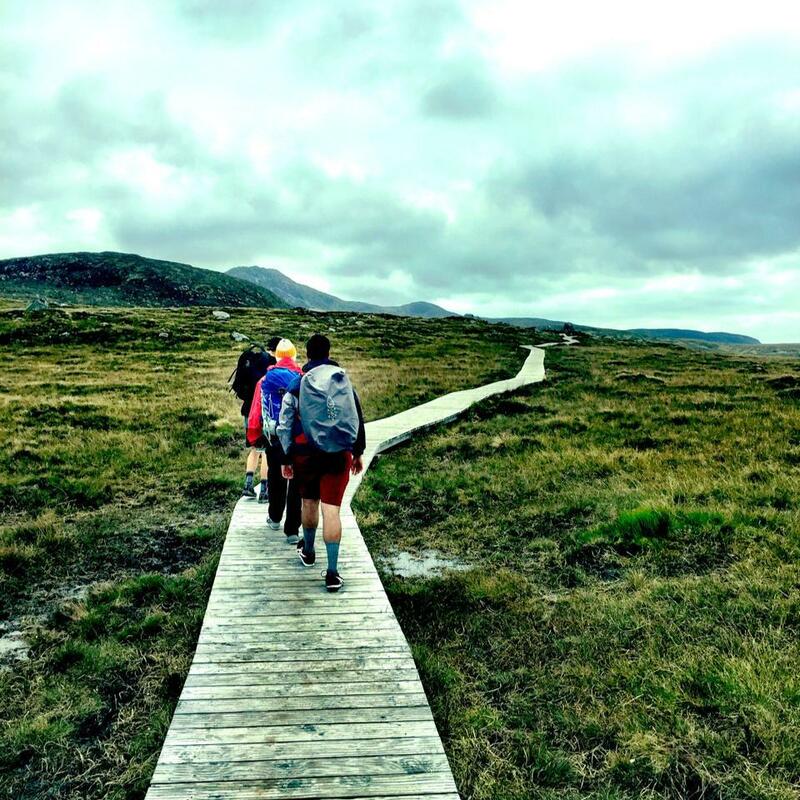 Breaking the journey up with a little hike through Connemara National Park definitely helped, and Clifden ended up being full of friendly people and great live music. By Day 3, I felt more fit than I had in nearly a year. My legs were strong and defined, my body lighter and more agile. The passing of miles was becoming more of a meditation than a chore. As I typically biked in complete silence (lagging behind my friends who were in way better shape), I began to notice things about my body and mind I never had before – things I was neglecting as a chronically busy, over-committed college senior. I noticed my thought process becoming sharper and more focused on the present, and my body and mind began to work together more effectively. Navigating bogs in Connemara National Park. Of course, this serenity was short-lived. About 10 miles into a long stretch of seldom-traveled country road, the tube in my back tire blew out. We had two spare tubes and attempted to replace the bad one, but both of them blew out while we were trying to re-inflate the tire. Forrest’s tire blew out shortly after, but luckily we were able to patch his up. Since we were in a rush to catch a 6 pm ferry in the next town over, I spent the last 15 miles of the day riding on a flat. Not only did it make biking that much more difficult, I imagine it was comparable to sitting on a jackhammer. Not something I recommend. Right before my tire blew out. 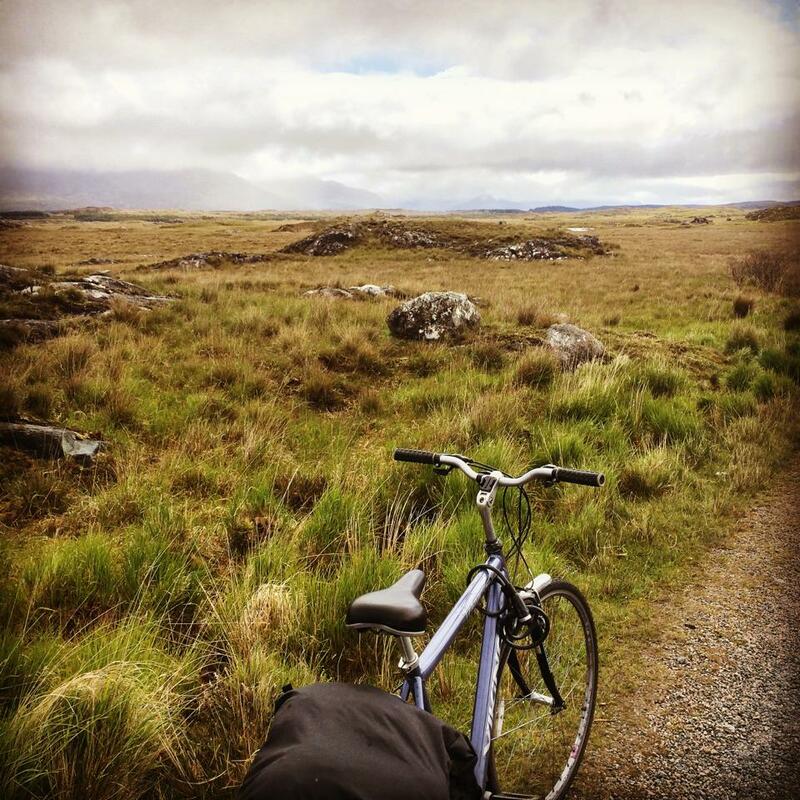 Day 4 found us biking around the Aran island of Innis Mór, a little land mass off the West coast where all the locals speak Gaelic. This was a relatively laid back day that included a visit to the 1,000 year old stone fort Dún Aonghasa. At the end of the day we caught a ferry back to the mainland so we could bike to our next destination. With about 7 miles to go until our hostel, the rear derailleur on Ian’s bike broke in half, completely mangling his chain. He had to walk almost the rest of the way to the hostel (some Eastern Europeans were nice enough to tow him in towards the end), and the next morning we went back to the town the ferry dropped us off in the day before so he could get his bike fixed. The second half of Day 5 was by far the biggest challenge of the trip. Once Ian’s bike was working, we began an 11 mile ride to the Cliffs of Moher, a massive cliff face towering 702 feet above the Atlantic Ocean. 11 miles may not be a long distance, but the steep near-vertical climb, blinding rain and fog, gale force winds and chronic exhaustion made it feel endless. This pushed me to what was, up to that point, my absolute physical and mental limit. I put every last bit of my energy into completing that climb to the top, completely eliminating from my consciousness every last bit of information that wasn’t directly relevant to the task at hand. Finally we all made it to the Cliffs. Needless to say, we were pretty sick of being soaking wet and dealing with our bikes falling apart on us, so we decided to throw in the towel and catch a bus to Galway City (our final destination) a day early. After a couple of hours we realized that there weren’t any buses that would take us and our bikes all the way to Galway (about 50 miles from the Cliffs of Moher) without charging us an unreasonable amount of money. So we decided to hop back on the bikes and get as far down the road to Galway as we possibly could. By this time it was already about 4 in the afternoon, putting the time of our arrival into Galway close to 10 PM, assuming we moved at a decent pace. Forrest and I were so completely exhausted that we only made it about 30 miles down the road, to a town outside of Galway called Kinvara. This was not a smooth ride – we stopped several times for walking breaks, and once because Forrest crashed going down a steep, curvy hill (shout out to Moira Fallon and Keogh’s pub for saving us from collapsing on the side of the road). Sam and Ian made it all the way to Galway that night, which was pretty damned impressive. 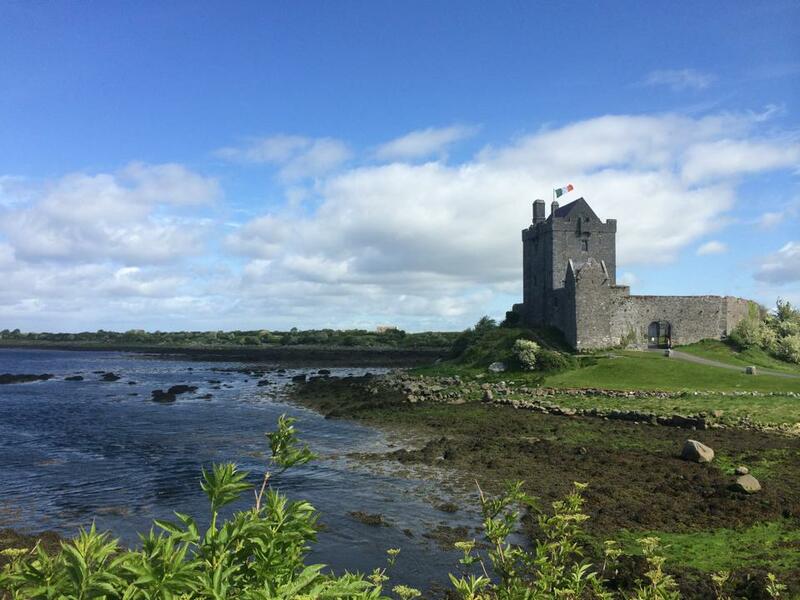 Day 6 saw a pretty uneventful 20-mile ride into Galway. I had absolutely nothing left in my gas tank by this point, so I tried to view it as a final test of my ability to put mind over matter, a sort of game to explore ways I could leverage mental tricks to compensate for my physical shortcomings. To say that the first Guinness I had in Galway to celebrate completing the trip was immensely satisfying would be a major understatement. On the road out of Kinvara. By now I’ve probably made it sound like this trip was miserably difficult and not something I would do again, which couldn’t be further from the truth. It was one of the best experiences I’ve ever had thanks to the beautiful countryside, awesome company and plenty of stops in Irish pubs along the way. But the thing that made it truly enjoyable was how far it forced me to step outside my comfort zone. The most important thing I learned was not to impose self-limitations on what I’m capable of. This is something fairly easy to accept on an intellectual level, but more difficult to internalize and implement in a practical way. We are all prone to self-limitation, whether it’s as small as simply saying “I’m not very good at doing ‘X'”, or as serious as resigning oneself to some soulless life-sucking 9-5 office job out of fear of risk-taking and failure. The bike trip helped me to realize that my own self-imposed limitations are at the heart of the majority of my personal weaknesses. While I am by no means cured of my tendency to self-limit, nor have I fully corrected even my most minute personal weaknesses, the increased awareness I gained on the trip will be a huge advantage as I take an even bigger step outside my comfort zone – leaving home to pursue a PhD. What I’ve learned about not setting limits on my own abilities will help carry me through the most difficult challenges I’ll face as a grad student. 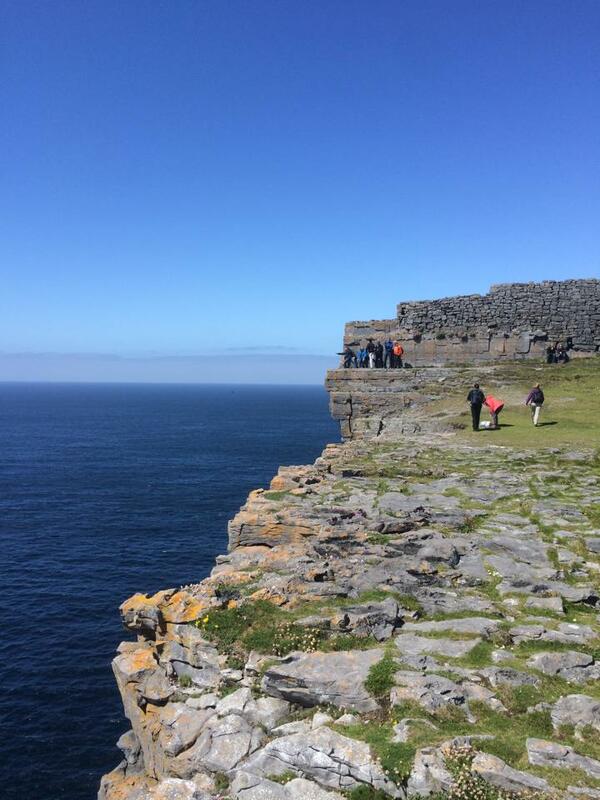 I learned a lot about myself on a 6 day trek through Ireland, and I know this can only continue during a (hopefully not more than) 6 year trek through graduate school. 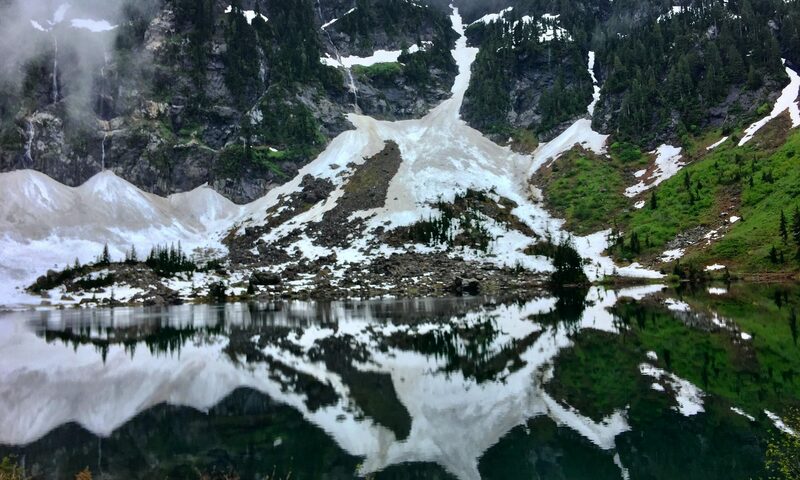 With any luck, I’ll manage to take some bike trips through the Pacific Northwest, too. It’s so easy to put in our own boundaries and not want to step outside them or not realise that you can! Good post!